The Australian Under-16 Junior Championships will be heading to the top end in 2019 with Darwin Basketball Association set to host the tournament from July 6-13. This will be the first time that Darwin has hosted a state-based Australian Championship having previously hosted a number of Australian Under-14 Club Championships in recent years. 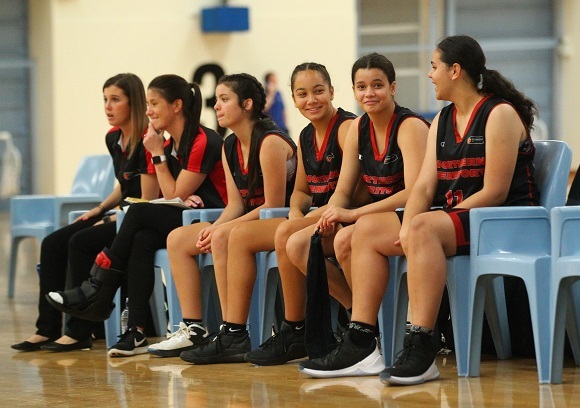 “Basketball Australia is excited to be able to bring the Under-16’s to Northern Territory for the first time,” said Paul Maley, Basketball Australia General Manager, Competitions. Sarah Rummery, Darwin Basketball Association Chair, says she is honoured and excited to be hosting next year’s Championship. “With the recent investments and improvements in our facility, new competition structure and community support, Darwin Basketball is well equipped and ready to offer a memorable and exciting Championship event,” Rummery said. “The tournament will be an amazing opportunity for players, coaches and spectators to visit the North and for our local players, volunteers and supporters to be involved at a national level,” added Darwin Basketball Association Executive Officer, Kerri Savidge. Earlier this year at the Under-16 Championships, Vic Metro completed the double with their boys claiming back-to-back titles while the girls earned their 16th Championship in the past 18 years. Before you head to the Under-16 Championships in Darwin next year, visit www.northernterritory.com and www.northernterritory.com/plan for all the information you need on tours, weather, transport hire and maps while accommodation needs can be organised at www.northernterritory.com/plan/accomodation.